*Well, according to me anyway. And why wouldn’t you listen to me? I’m great. Tea is a (sort of) British institution that has been a part of our culture for hundreds of years. 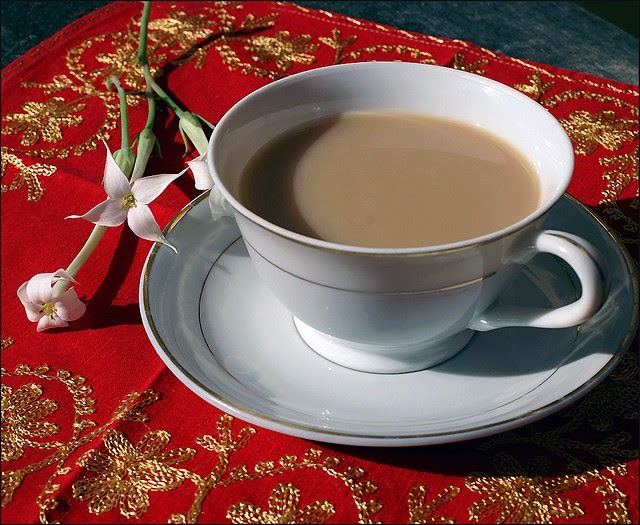 There’s many different types of tea and each one should be brewed differently. Today, however, we’re focusing on the everyday 'English breakfast' brew that we as Britons drink millions of cups of every day. First things first. Don’t ever ever ever EVER put the milk in first. It makes the tea taste like sadness - besides, you never how much milk you need until the water is actually in the cup. SO WHY WOULD YOU DO IT?! Speaking of water, it needs to be at boiling point when you pour. If it’s too cold you won’t get the proper flavour extraction. And it means there's less time for biscuit dunking. Don’t even mention the words rich tea because I will slap you. Two seconds in the cup and it’s lying in a soggy mess at the bottom. The chocolate digestive is clearly the way forward (hobnobs are also good, but so absorbent you will end up only drinking half of your brew) and I will also accept custard creams. Party rings at a push. So it’s perfectly steeped and you have your biscuit of choice. What now? Take the teabag out? NO! LEAVE IT IN YOU WEIRDOS! Next, do your milk (if you so desire - although drinking everyday tea black is also bonkers). If you've run out of the milk you like (i.e skimmed, blates) never EVER think you can get away with using a different type of milk. If you're used to full fat, skimmed will feel like you're adding white water. If you're used to skimmed, anything more will feel like you've got yoghurt in your brew. Eurgh. Generally you only need a small splash, but if you want to be picky I think the perfect amount is about 50ml - basically, your tea should be a light brown colour. Now you can take your tea bag out and give it a squeeze on the side of the mug just to be sure. The final part is optional and a topic of great discussion. Sugar? However much you have, just make sure you stir it, and stir it well. What, you thought it would dissolve itself? Idiot. You’ll end up with nothing but a sickly sweet bottom half, and all your teeth will be crying. So there you have it - all the tools you need to make the perfect brew and shoot down anyone who says otherwise. Now go put the kettle on, milk and one please. Do you agree with Sam's pernickety rules for the perfect cuppa? Let us know your best brew tips in the comments! Win! Leaning Tower of Pisa Espresso Cups! Officer! There's Been a Gincident!